Happy Year of the Ram! Nothing brings me back to my childhood like NBC does because every significant event from birthdays, weddings and Chinese New Year celebrations, like the one my family is having on Saturday, were always held there. In Monterey Park, or MPK as it’s lovingly known, you have 2 choices for Hong Kong style dim sum: Elite and NBC. NBC is the Godfather. 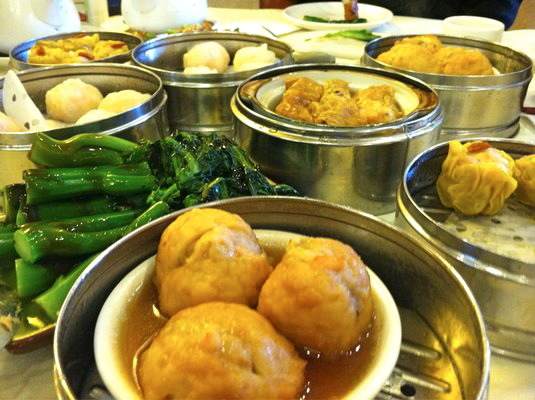 Elite is good, but doesn’t have carts which takes a lot away from the dim sum experience. It’s like a Brazilian churrascaria without the churrascos or a taco joint without the Orange Bang–it just shouldn’t happen. So, below are my tips for a fabulous dim summing experience at NBC from someone who’s had a decades-long relationship with those delectable tin trays. Tip #1, Don’t be bashful–raise your hand and flag those ladies down like you’re hailing a cab in Manhattan. Throw in an um goi (Cantonese for “thanks!”) and get a smile in return. 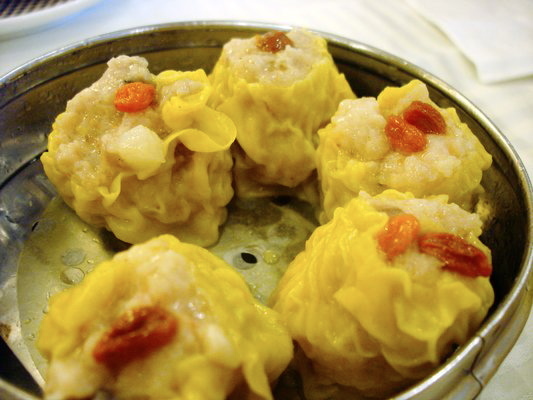 Many non-Chinese might feel overwhelmed about dim summing. To them I say, don’t!!! In the US, if you’re ignored by waitstaff, it’s considered bad service. 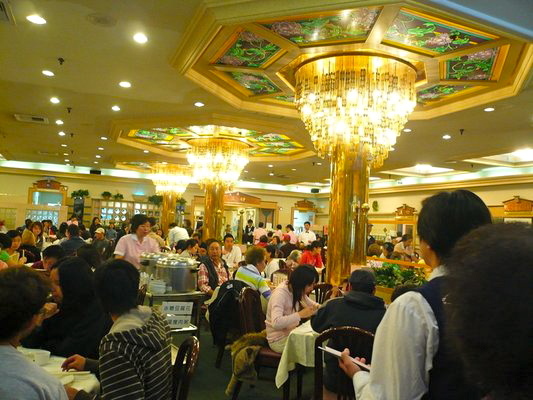 In Hong Kong, it’s considered excellent because nobody wants a server breathing down your table to rush you out. Some of my personal favorites are shu mai (pork dumplings), spare ribs in black bean sauce, tofu skin rolls filled with pork and mushrooms, chi-ma-woo (sweet sesame dessert), tofu fa (silken tofu in a sweet soup), anything deep fried and tan. Most shocking of all, the egg rolls are divine and a million miles away from the deep fried travesty sold at Panda Express. They also serve one of the best crispy squid with pepper salt. Grab it as soon as the servers come out of the kitchen and don’t wait for it to arrive on the cart. The porridge/jook/congee is okay. I always get it because I love jook in general, but it’s nothing to write home about. Tip #3, Chili with soy sauce is delicious. The moment you sit down, you’ll get a little plate of hot mustard (eh) and chili. Dump some soy sauce in the chili and dump everything salty you order in there. This is especially tasty with the steamed dumplings. Finally, Tip #4, Go before 1:30PM M-F for best offerings. 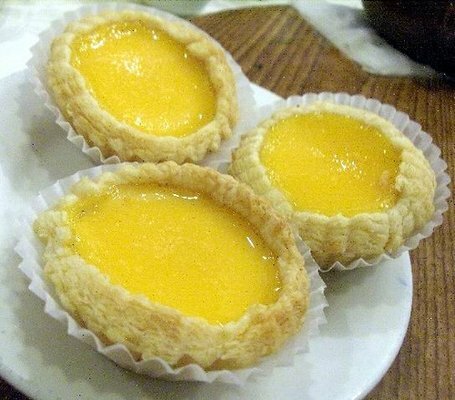 For a truly Hong Kong experience, go Saturday or Sunday between 11-1PM. Parking will be bleak, but the feeling of your pants getting tighter as you eat will make it totally worth it.